Japanese whisky Togouchi 9 years of age. Blended whisky aged in oak barrels which contains about 40% of malted barley. 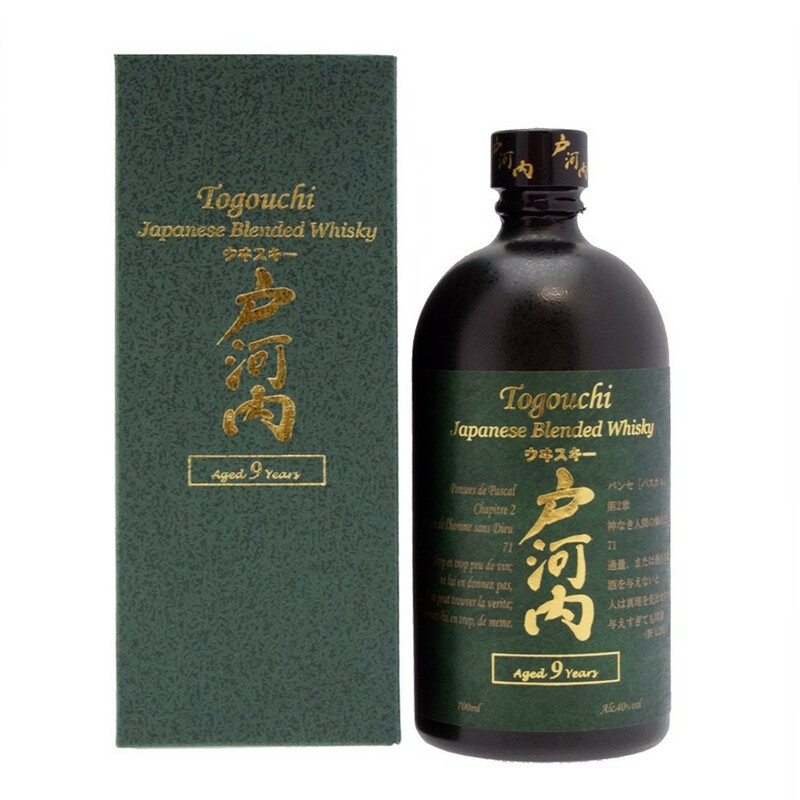 Its intense taste reveals scipy and citrus notes and a slightly smoked and peated hint. It is perfect with seafood dishes and it can be tasted pure. Nose: intense flavours of fruits and sweet spices. Palate: spices and citrus bring freshness. Finish: spices and citrus brings a bright final touch. Slightly smoked and peated.